With all of this stormy weather we are having lately, reaching into the wardrobe every day means grabbing something warm and cosy. We have nailed some comfy outfit choices, now let's have a look at some of the nicest winter boots out there at the moment. 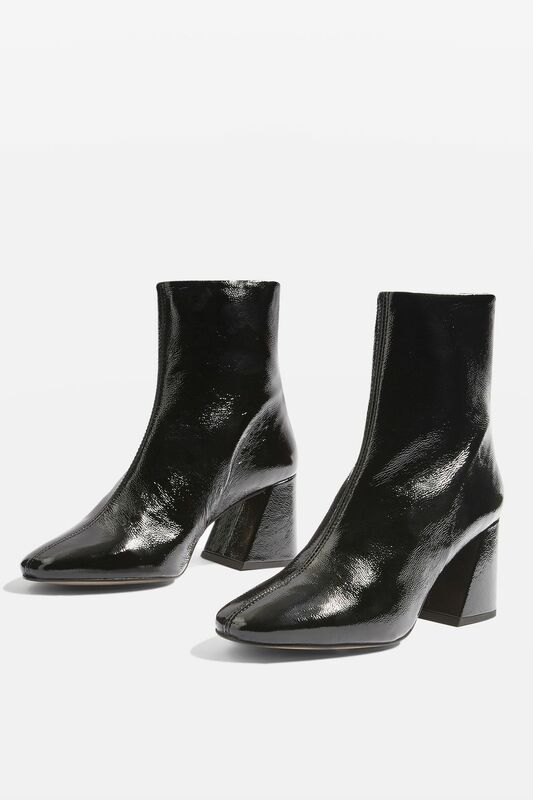 From designer pieces to Penneys every gal is going to pick up a pair of little ankle boots, or will this be the year you finally invest in the knee-highs you always wanted? Have a look at these gorgeous picks from what is on offer out there at the moment. Each one of these boots is gorgeous in their own way, hopefully, there is something for everyone! 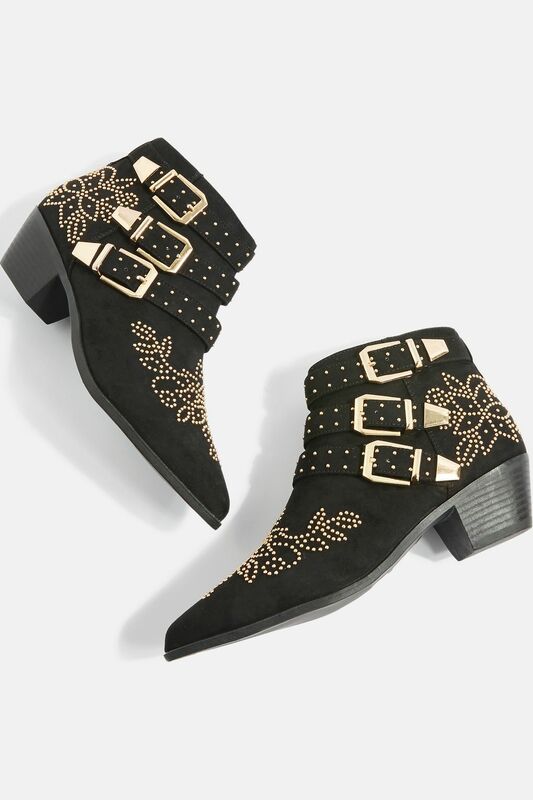 Studs and buckles on a black boot have become a classic look, these beauties will go with everything and see you right through the year. 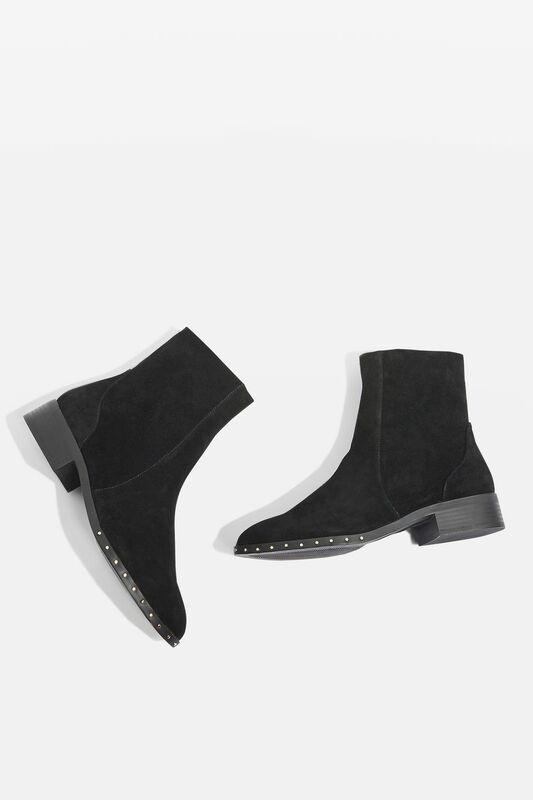 These are a really good alternative to the famous Chloe boots at a much friendlier price! Shop here. 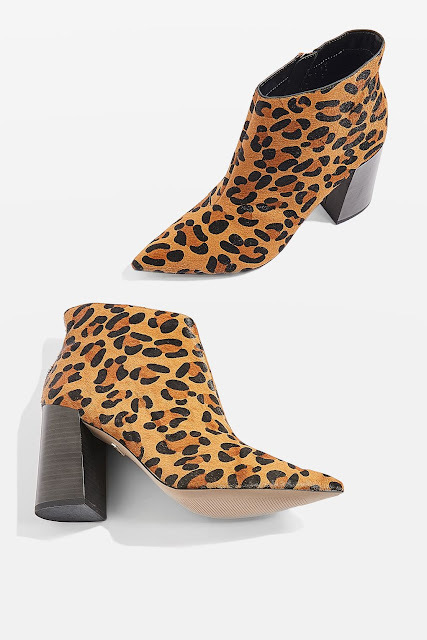 These leopard print boots are simply stunning. Jazz up a monochrome outfit in the simplest way by throwing these on! The shape and ankle length of these boots are just beautiful. You would have them year after year. Love! Shop here. These boots would suit someone who likes to play it safe when it comes to shoes and leave the patterns and colours to your clothes. These boots are simply but there is still attention to detail making these really stylish and glam. The heel is much flatter making them super for running around at work all day or on the weekends. Shop here. These boots are perfect for any gals out there who love structure, tailoring and a nice neat finish to your fashion. There is no messing with these bad boys, they are not for the faint-hearted. This slanted triangular style block heal is everywhere this year which is great because it is comfortable! Shop here. 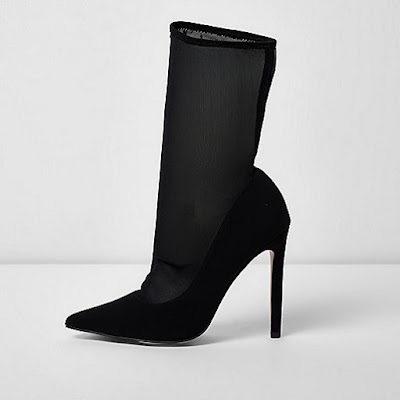 These black pointed toe mesh sock court boots are the next level of winter fashion. They are perfect for any winter occasion you might have coming up. They are classy and definitely not for everyday wear but could finish off a long skirt or tailored trousers beautifully. Shop here.